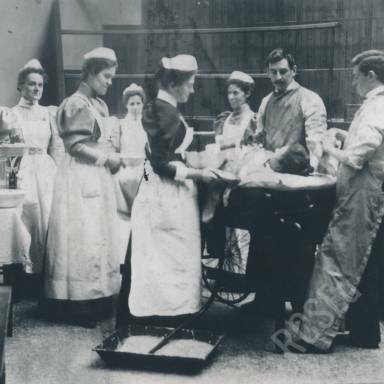 Welcome to our Special Collections digital repository where visitors will be able to search, browse and download materials digitised from our historic archive, which you will find at the bottom of this page. 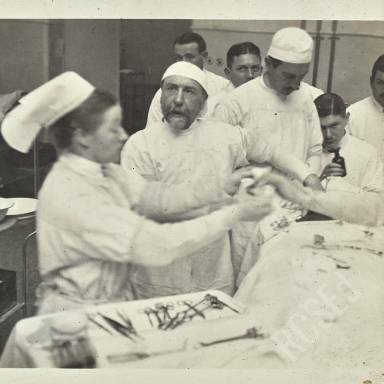 Archives with named individuals will often link to biographical details in the Surgeons' Database. Individuals are permitted to study, download or print images for private research or educational purposes only, and are not permitted to disseminate images online. 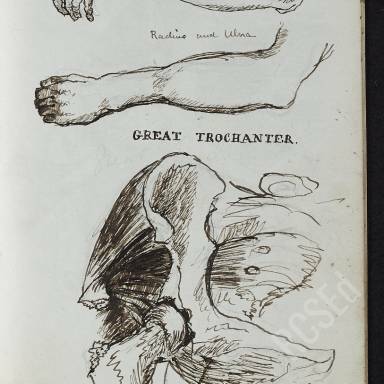 If you are interested in reproducing our images commercially, please use the contact us form for permissions. All permitted reproductions should be credited to the Royal College of Surgeons of Edinburgh. 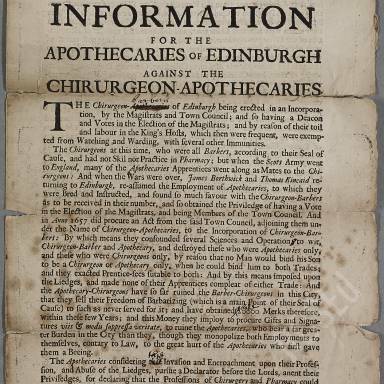 Founded in 1505, the Incorporation of Surgeons and Barbers (from 1778 The Royal College of Surgeons of Edinburgh) is one of the oldest medical incorporation's in continuous existence in the world, and our unique collections fully represent this heritage, being a Recognised Collection of National Significance. 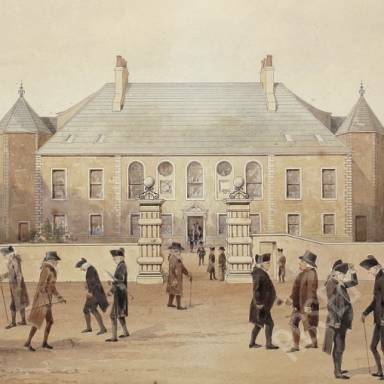 Our archives offer a diverse historical resource detailing the activities, culture and development of an ancient craft guild, supporting a wide subject range, from the history of medicine, surgery and medical education, to Scottish and local Edinburgh economic and social history, as well as military history. The College institutional manuscripts and records date from the 16th century, and include, minute books (a complete run from 1581 to present day); administrative records; the ‘chirurgians’ early business papers; extensive examination records; architectural plans; correspondence; diplomas and certificates; class cards; and an extensive collection of visual material, including photographs, slides, film, ephemera and anatomical illustrations. 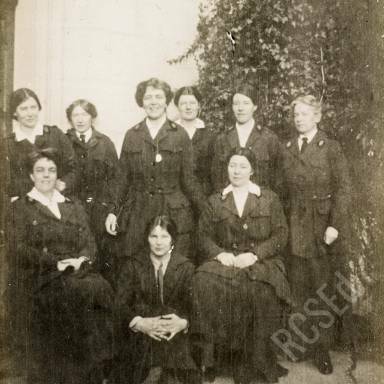 Our Gift and Deposit collections were created by individuals in their professional and personal lives and include those of Joseph Lister, James Young Simpson, Henry Duncan Littlejohn, Elsie Inglis and the Scottish Women’s Hospitals, John and Charles Bell, Robert Knox, Joseph Bell, Henry Wade and Arthur Conan Doyle, to name a few. 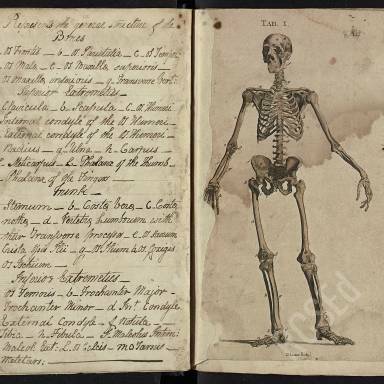 Our clinical case books and lecture notes include those of Thomas Annandale, John Gregory, William Cullen, William Fergusson, James Syme and Professors Alexander Monro (Primus, Secundus & Tertius). 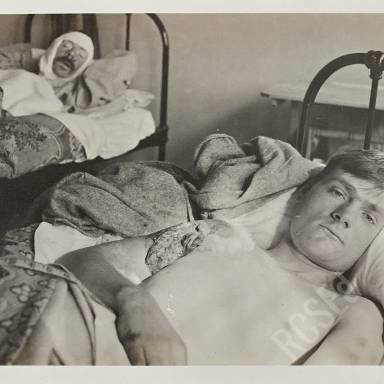 As of February 2019 we have uploaded 4000 images. However, this is a growing resource and we will continually add new digitised collections so please do keep checking back!